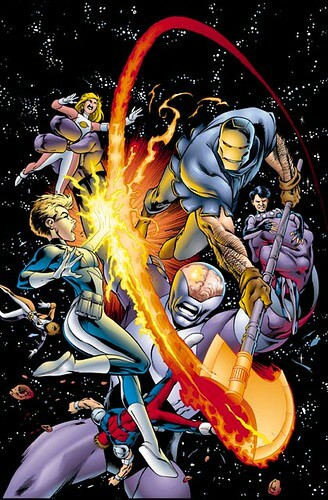 In the 1990s, Alan Davis did a series of covers for DC Comics' Legion of Super-Heroes series. Davis captured the youth and high spirited nature of these characters in a way that perfectly fit them. I thought I read in an interview that Davis did these covers in part because his inker, Mark Farmer, was a big Legion fan? I saved a number of these Legion covers from various previews (was it DC Online at AOL?) sans any cover logos. 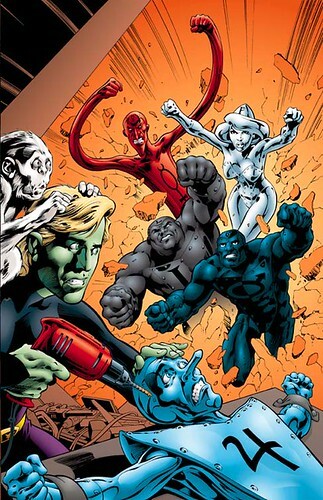 During this mid-1990s storyline, the Legion were divided. One half was marooned on present day Earth, the other remained in the future. 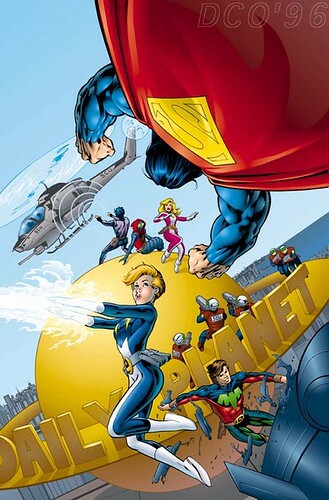 The cover to issue #85 showed that the team was about to encounter Metropolis' most famous resident. This version of Superman had little connection to the Legion--something that Geoff Johns has rectified lately. The Metal Men guest starred in issue 95. I love the look on Tin's face as Brainiac 5 gets ready for a closer look at his responsometer. 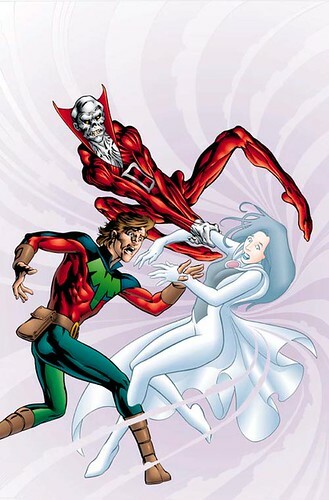 Deadman appeared in issue 87, to help rescue Phantom Girl from Limbo. Looking back at these covers, I'm noticing how often Light Lass is featured prominently. This issue resolved a love triangle between Saturn Girl, Cosmic Boy, and Light Lass. Of course, they had to fight over a man,. 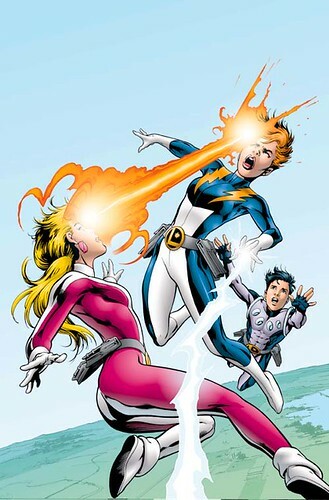 Never mess with Saturn Girl! Ferro Lad in this incarnation of the Legion was quite cute. 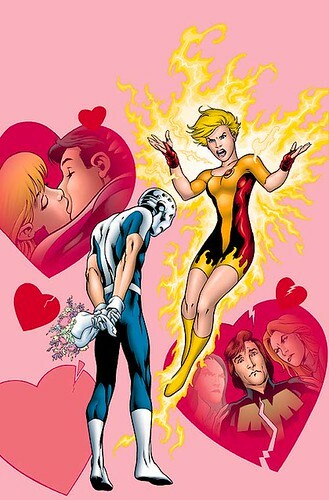 Issue 94 was about his crush on another team member. I think this issue was published in February, given all the hearts. 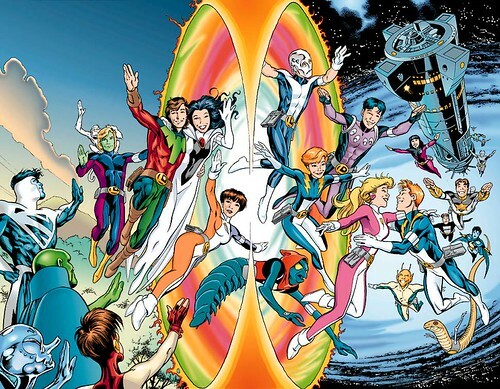 This wonderful double page spread to LSH #100 shows the separate Legion teams being re-united when the "back to the past" storyline came to a conclusion. This cover shows the Legion flying off into the sunset, carrying the Legion flag. 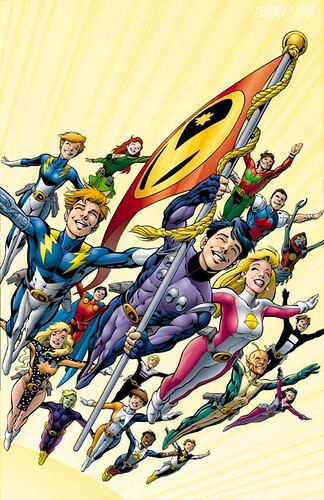 The founding members Cosmic Boy, Lighting Lad, and Saturn Girl are show front and center. You can see a few more Legion covers here on Flickr. Nuff said. The Orville 2.13: Time Travel!